Are you an early-stage entrepreneur running web business? Have you explored digital advertising for your business? You probably know that getting started with Search Engine Marketing can be fairly overwhelming. You may find it difficult to talk to the technical folks. Jargon alone shouldn’t stop you from making your site the powerful marketing tool it can be. 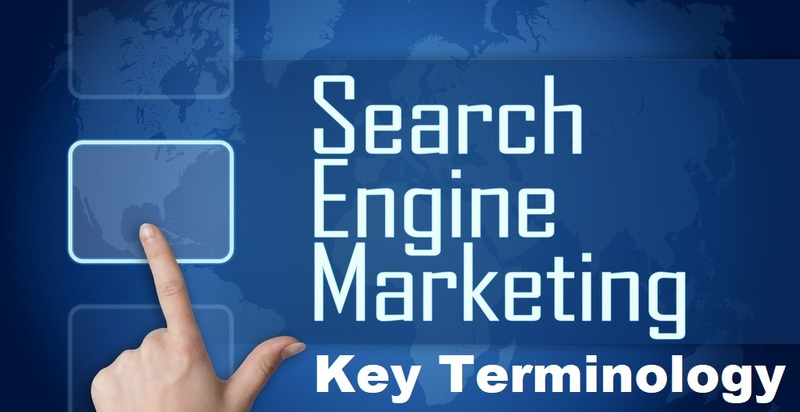 To begin with, we have compiled the list of 20 most essential search engine marketing terms that will help you to communicate with your developers or technical folks. Audience: An audience is a group of potential customers that you care about most and want to targets with your SEM ads. A/B testing: A/B Testing, or split testing, is a form of testing used in Internet marketing and website optimization, whereby groups of users see different versions of a landing page, ad, email or other content. Performance is measured to determine which version will be used going forward. Bid: This is the maximum amount that you are willing to pay for a click on your ad. It’s usually a maximum amount and may cost quite less than your bid. Click: Click is an action taken by a potential customer while selecting a link in your ad using the pointing device. CTR: Click Through Rate or CTR is the percentage of people who clicked an ad that was presented in search results. It indicates of how well ads or keywords are performing. Cost per click (CPC): CPC or Cost per click is the price that an advertiser pays for a click on an ad from a potential customer. CPM: Cost Per Mile represents cost per thousand impressions. It is one of the advertising payment plans, where you pay the price per thousand views. Conversion: It usually means converting a website visitor to customer, but occasionally, websites may use metrics other than sale as conversion, such as sign up for a newsletter, visiting a certain page, etc. Keyword: the words or phrases that are a topic of significance. Searchers use keywords as a way to identify and verbalize their problem or topic in which they’re looking for more information. Keyword research: the process of selecting right keywords to create an ad campaign should be called as Keyword research. You choose them depending on what you feel potential customers are looking for when searching for those words or phrases. Long Tail Keywords: Long tail keywords are those three and four keyword phrases which are very, very specific to whatever you are selling. Landing page: It is a lead capture page on your website where searchers arrive after clicking on your ad. ROI the ratio to calculate profitability. ROI compares investment and results in order to determine benefits from the marketing campaign. Search Engine Optimisation (SEO): The Methods and strategies used for improving the visibility of a website in the search engine result pages through organic reach. Short Tail Keywords: Short tail keywords are search phrases with only one or words. Their length makes them less specific than searches with more words. SERP Search engine result page is the list of results displayed by the search engines as the response to the search query.